Hello! I’m back! I bought a 2nd hand iPhone 4 (not 4s) for S$300 and I’m going to try to keep up with the 1 post a day again. The camera quality is definitely poorer than the iPhone 5 and it’s rather slow to react. But hey! It does the job and I don’t have to relearn a new interface. Also, I synced my iPhone 5 with iTunes on my Macbook 4 hours before I lost the phone, so it’s still up to date. I’ll have to be extra careful with this one. Can’t afford to lose it again! So anyway, my hair has exploded. Is it me or does my face look a lot rounder with this hairstyle? Heh… maybe it’s just me pretending that I’m not gaining weight. Who knows? 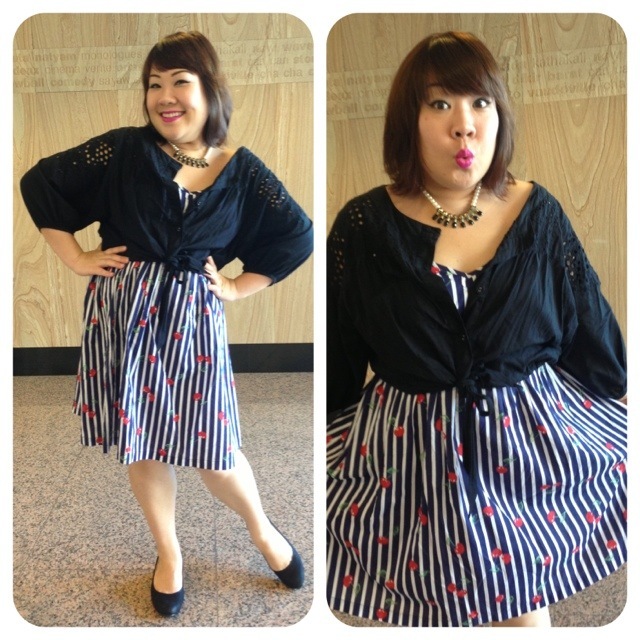 Categories: Fat-shionista | Tags: accessories, blogging, dress, Fat Friendly, Fat-shionista, fatshion, fatshionista, GEOX, indie, indie designers, iphone 4, M&S, marks & spencer, outfit of the day, plus size, plus-sized, singapore, spotlight, what I'm wearing today | Permalink. 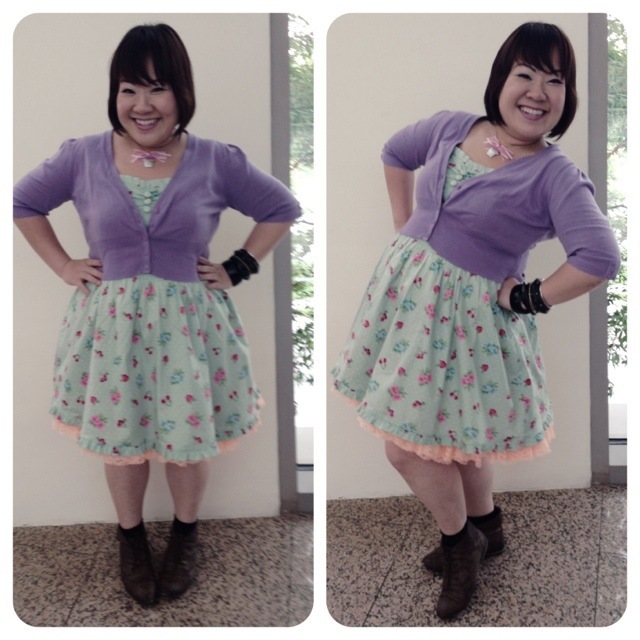 Today, we travel to Jurong to visit award-winning Singaporean thespian – Siti Khalijah Zainal, also popularly known as Siti K. I recall seeing Siti K for the first time in the 2006 play “Why Did the Cat Get So Fat?” by my pal, Zizi Azah (also the younger sister of a recent Not Your Average Woman interviewee, Aida Eliza). And it was for her role in The Necessary Stage‘s Model Citizen that she won the Life! Theatre Award for Best Actress. Incidentally, The Necessary Stage was also crucial in kickstarting Siti’s acting career when she joined their Theatre For Youth Ensemble programme. From studying building drafting at ITE Bedok, to a full-time career as a theatre actress in (what most people think is cultureless) Singapore. This woman is definitely not average by a far measure. One can only dream to be in her shoes, but most definitely though, if you wish, you can have a small bit of her by adopting part of her fashion philosophy. Where and how do you shop? I like to shop on weekdays and during ‘off peak’ hours when it’s less crowded. Sometimes when rehearsals end early and i’ve time to spare before my next meeting, i’ll just window shop and i ‘accidentally’ buy things. 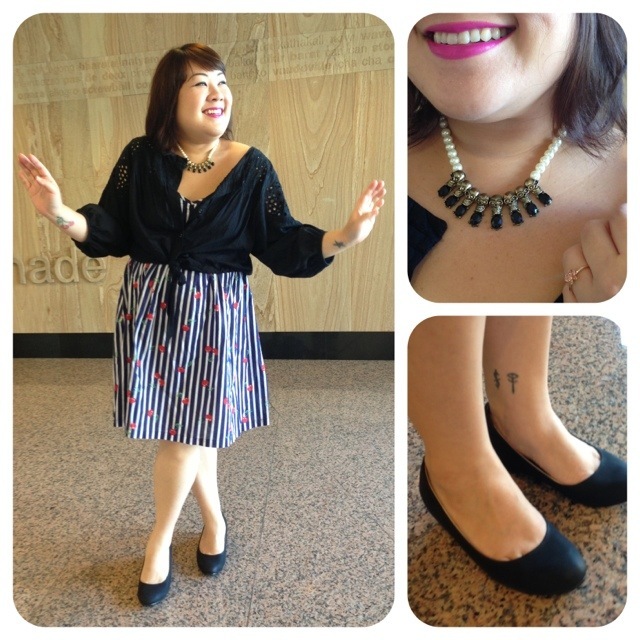 But i mostly shop online for clothes, because there’s only a few shops in Singapore that have nice, affordable clothes for plus-sized girls like myself. 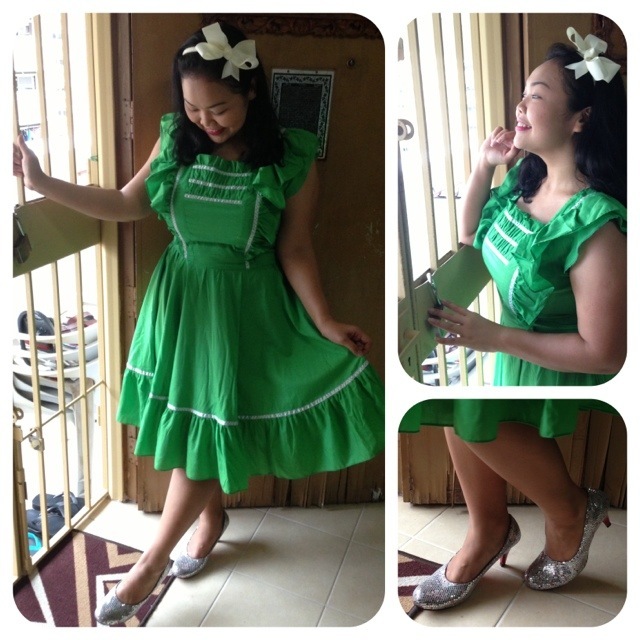 And also cos I love vintage, my options are even more limited in the shops. 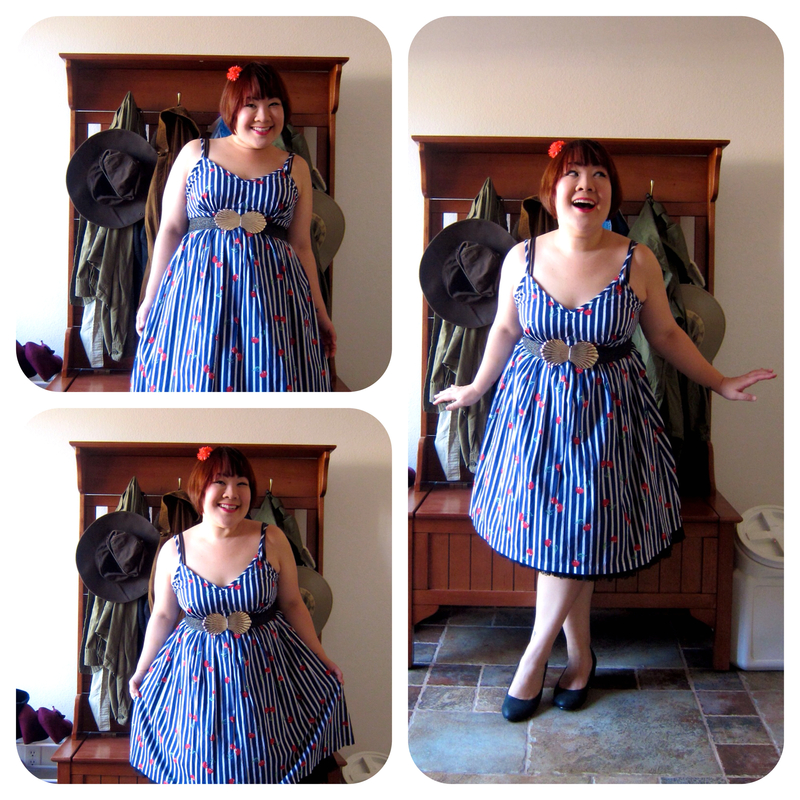 I like Etsy because they have so many sellers selling so many pretty second-hand vintage dresses in my size, and they’re quite affordable. I can be on the website for hours, just looking at (and buying) those gorgeous dresses. 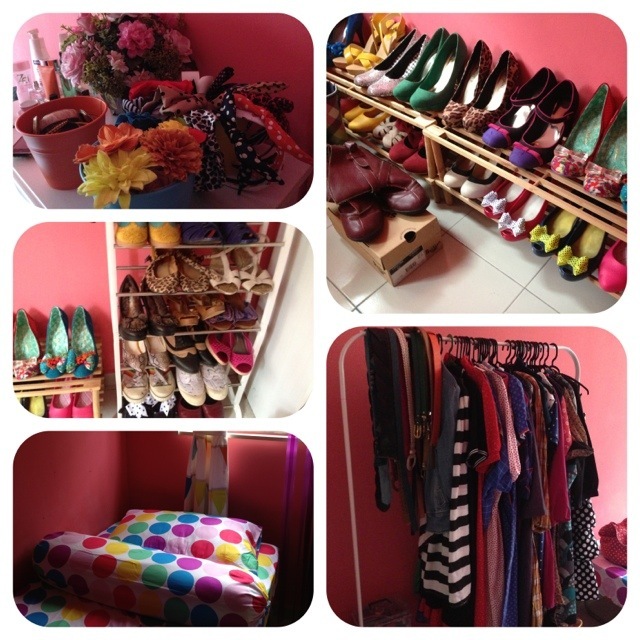 Siti’s not only style savvy but budget conscious as well. 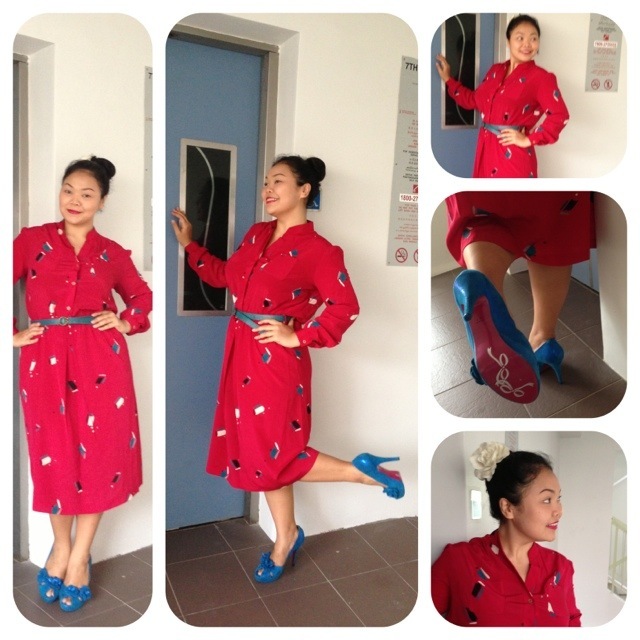 With well over 50 vintage-style frocks, she spends between SGD 100-200 each time. 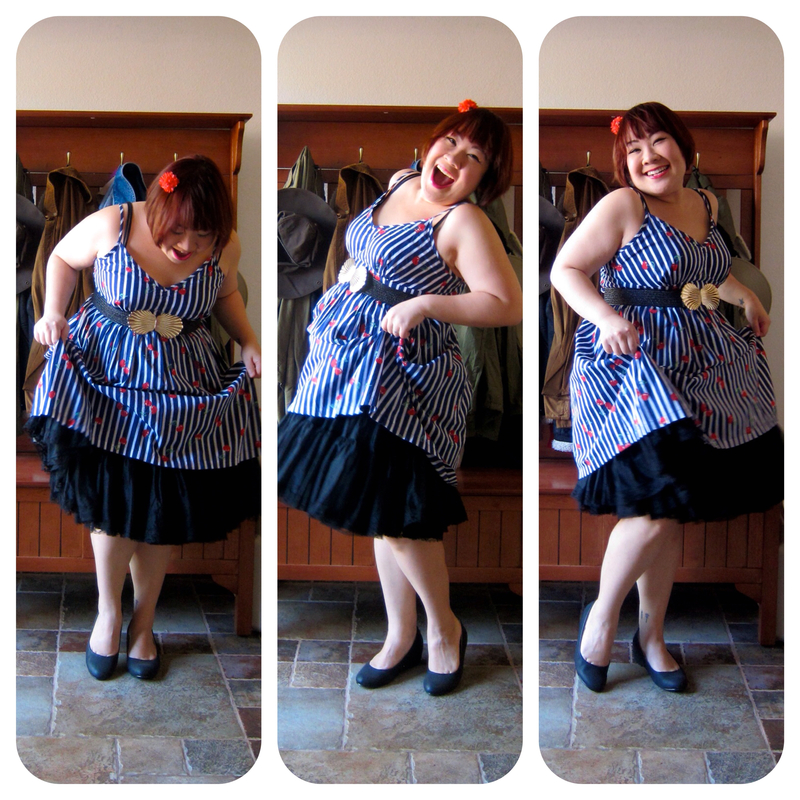 A lot of bargain-hunting done via etsy helps grows her wardrobe but prevents her pockets from emptying unnecessarily. Don’t buy entire outfits from look books! 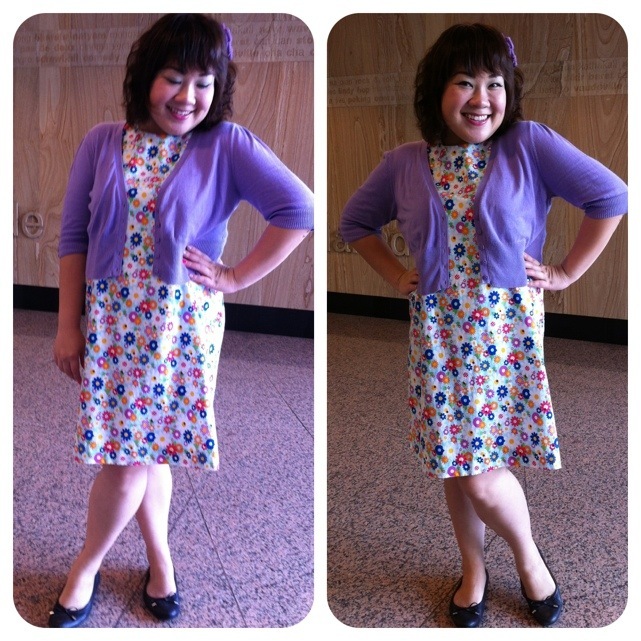 Learn the art of cobbling together your own look like the fabulous Siti! Categories: Not Your Average Woman | Tags: asos, blogging, dorothy perkins, etsy, fashion philosophy, forever 21, H&M, life! theatre awards, marks & spencer, model citizens, not your average woman, singapore, singapore actress, singapore theatre, siti k, siti khalijah zainal, the necessary stage, uniqlo, why did the cat get so fat, zizi azah | Permalink. Get up get up! It’s Monday! 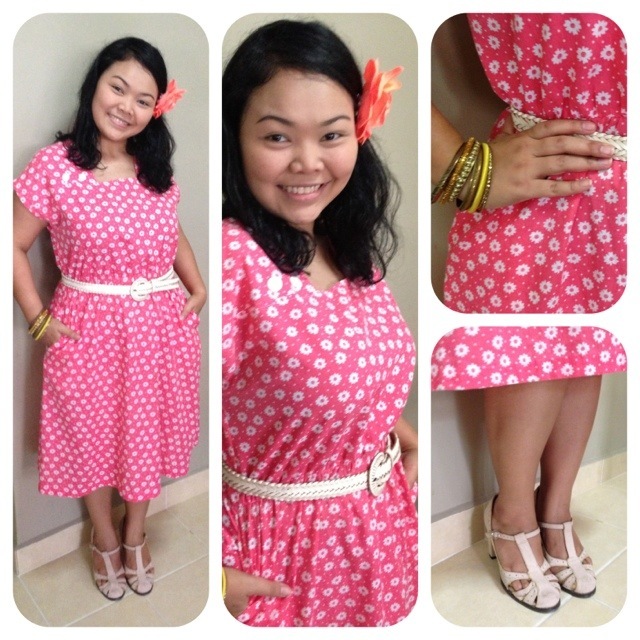 Categories: Fat-shionista | Tags: accessories, blogging, bolero, cherry print sundress, diva accessories, dress, Fat Friendly, Fat-shionista, fatshion, fatshionista, french connection, hidden wedge pumps, iphone, marks & spencer, online shopping, outfit of the day, plus size, plus-sized, singapore, what I'm wearing today, zipia | Permalink. I think I’m going to milk this look in 2013 (with the occasional band t-shirt) till I get sick of it. Oh gosh! I love the Hell Bunny dresses! Thanks Shridar for taking these photos very quickly! 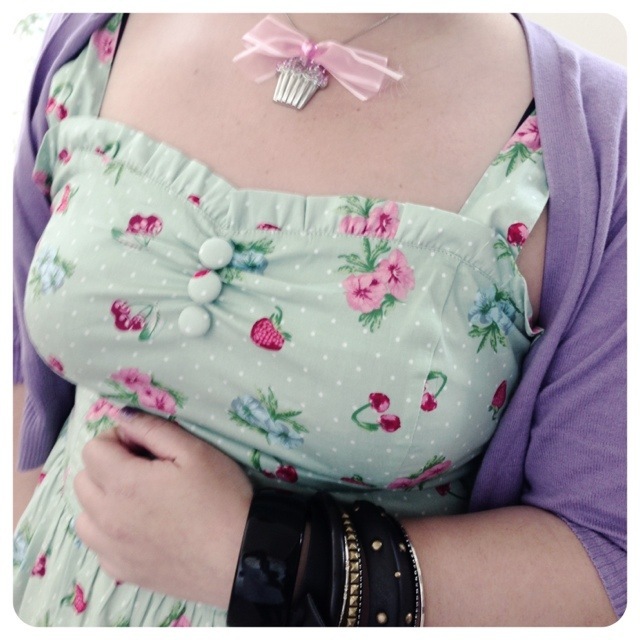 Categories: Fat-shionista, What The Frock Wednesdays | Tags: accessories, bangles, blogging, bracelets, cardigan, crochet socks, domino dollhouse, dress, ebay, etsy, Fat Friendly, Fat-shionista, fatshion, fatshionista, hell bunny dress, indie, indie designers, iphone, m&s woman, marks & spencer, new look, online shopping, outfit of the day, petticoats, plus size, plus-sized, rubi shoes, singapore, what I'm wearing today, what the frock Wednesday, what the frock wednesdays, wtfw | Permalink. Hello there. It’s been a while. Work’s been busy busy busy and I reckon it’ll stay this way for a while longer. In the meantime, I’m going to try to catch up on some blogging. The accessories. I love these rings! Do I look like a lady yet? 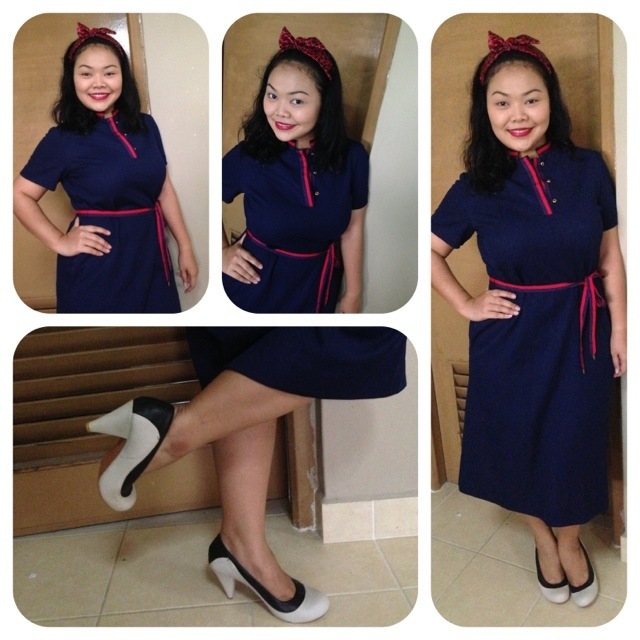 Categories: Etsy Finds | Tags: accessories, dorothy perkins, dress, etsy, Fat Friendly, Fat-shionista, fatshion, fatshionista, leggings, marks & spencer, plus size, pretty fit, singapore | Permalink. 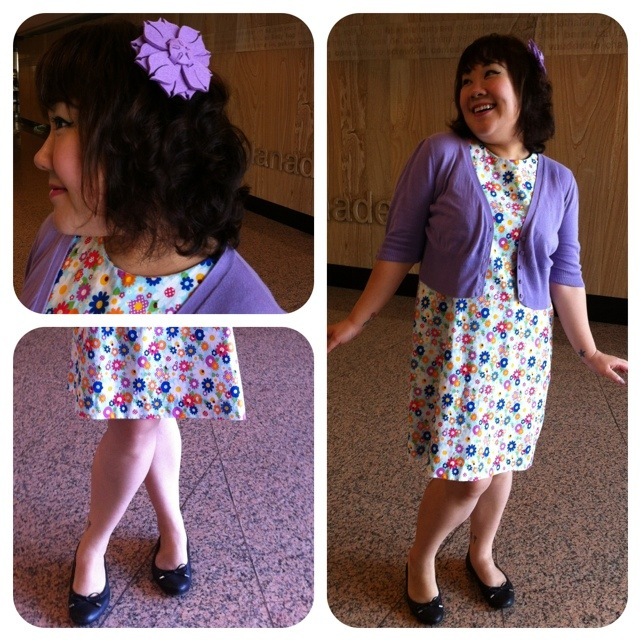 So after the outdoor photos were taken, I almost immediately regretted not accessorizing. Lucky for me, I keep a bag of accessories in the office! So I picked some up and retook the photos. Hence the overload today. One more for the road... so much better with accessories right? 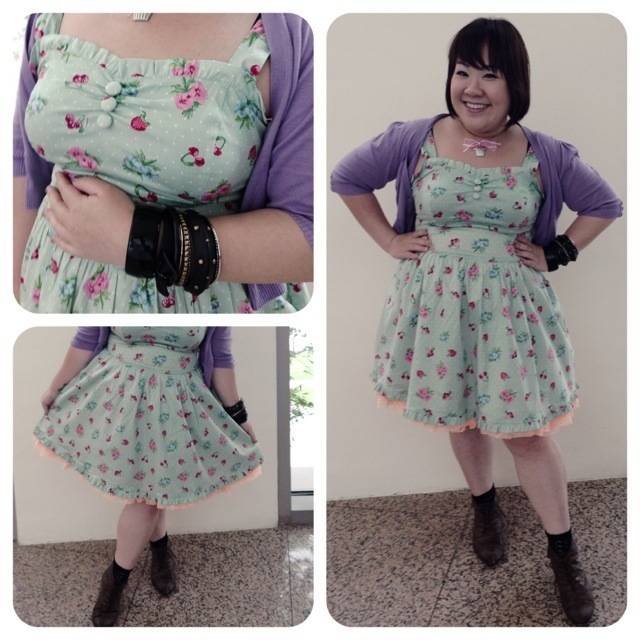 Categories: Fat-shionista | Tags: accessories, dress, etsy, evans, Fat Friendly, Fat-shionista, fatshion, fatshionista, indie designers, juanitatortilla, leggings, marks & spencer, plus size, river island, singapore | Permalink.